The Coffee Science Certification (CSC) program is the first globally recognized program aimed at providing coffee professionals with a greater technical foundation of coffee science from 'bean cup'. Whether you're a roaster, importer, quality control technician, product development engineer, or simply a serious coffee connoisseur - this seminar will greatly expand your technical knowledge of coffee. This first series CSC track is intended to build upon basic scientific principles to explore technical issues in specialty coffee. As such this track will be primarily focused on taste chemistry, flavor development, coffee chemistry, post-harvest processing, green coffee chemistry, storage and overall coffee science. The seminar is ideal for any coffee professional hoping to gain a better technical understanding of coffee chemistry and its impact on quality. Your seat will not be reserved if you do not complete Registration. If you cannot attend this event but are interested in future events, please pre-register here and we will notify you of the next session. Keep up to date with event listing and other happenings. The following modules will be discussed and explored during this seminar. This module will discuss the overall mechanics of taste chemistry, sensory analysis as well as physiochemical interactions that affect coffee. The course will take an objectively based approach to understanding coffee from a scientific perspective while emphasizing real-world applications. This module is meant as an introductory course to coffee science, beginning with exploring the chemical composition of coffee, effects of origin, changes during processing, and the formation of intermediate compounds during roasting. We'll introduce the role of organic acids, discuss their impact on flavor dynamics and explore their overall contribution to coffee quality. This module will serve as a prerequisite for more advanced CSC courses and is intended for anyone wishing to gain a greater technical understanding of coffee from 'bean to cup'. This module will discuss the overall processing of coffee during post-harvest processing. We'll also discuss the chemical differences between various types of processing, fermentation, impact of origin, proper storage, and overall flavor development. After graduating with a degree in Food Chemistry from the California State Polytechnic University, Joseph Rivera began working with the Coffee Quality Institute (CQI), a non-profit research foundation. During his time there he served as the organization’s Research & Development Scientist bridging together the fields of science and chemistry with practical coffee science. As such, his work with organic acids has pioneered a great contribution in our understanding of coffee quality and flavor. His work over the years has allowed him to play a key role in the development of numerous internationally recognized training programs including the Q-Certification program, WBC Certification, Roasters Guild Certification and numerous other SCAA/SCAE programs. In 2000, Joseph accepted the position of Director of Science and Technology for the Specialty Coffee Association of America (SCAA) and further extended the role of science & technology within the coffee industry. During his tenure there he served as lead coffee scientist and technical educator for its three thousand member base. Over the years he’s been featured on the History Channel, National Public Radio (NPR), British Broadcasting Corporation (BBC), Australian Broadcasting Corporation (ABC) and numerous prominent magazines including New York Magazine, Entrepreneur and many others. In 2009 after a decade in the specialty coffee industry, Joseph left the SCAA to launch Coffee Intelligence, LLC, an independent technical consulting firm dedicated to coffee testing, research & development (R&D), training and certification. Since leaving SCAA he's launched a number of interesting projects. In 2014 he developed the first and only Coffee Science Certificate® (CSC) training program for the specialty coffee industry with seminars conducted in over a dozen plus countries. 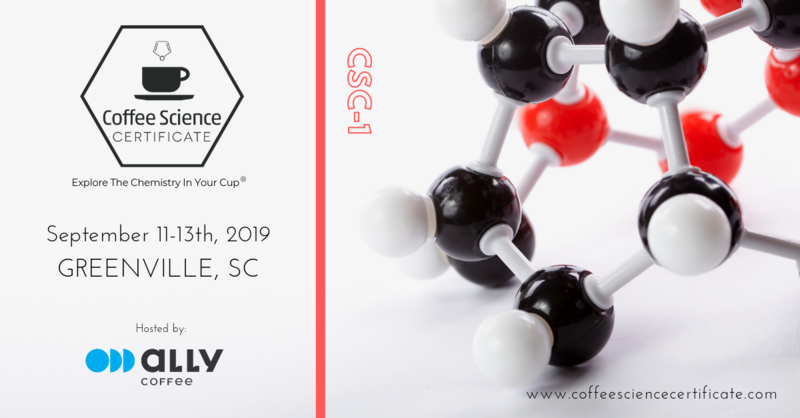 In 2016, Joseph presented the first 'Chemistry of Cold Brew' presentation during the Specialty Coffee Expo (Atlanta, GA) and is currently working on a number of chemical studies in this new beverage space. Today, he works on a number of R&D projects for Fortune 1000 companies involving application development, product innovation, single serve technology as well as emerging patent pending products. Few testimonials from previous seminars in Australia, Barcelona, Copenhagen, and London. "Thank you very much. I think that the class [Chem of Coffee / SCAA Conference 2010] was very useful and insightful in the cause of certain flavor attributes in coffee and how they can be affected. I would definitely recommend the class to anyone interested in understanding more about coffee and coffee chemistry." - Steve Lee | Roaster/ Intelligentsia Coffee & Tea, Inc.
To register simply go to our Registration Page. Pre-Registration is required for every event so that: (i) we can gauge the level of interest for this particular session/location, and (ii) so we can get a better understanding of the audience attending. Should you have any questions regarding the seminar please contact us directly. If you have any question regarding this session, please Contact Us. How do I pay for this seminar? All registrations will be handled online using any major credit card (Visa, Mastercard and AMEX). Alternatively, if you would like to pay in two installments (50%/50%) please let us know. Full payment for seminar must be received prior to the event. The registration fee will cover all tuition, materials and lunch for the duration of the seminar. The fees do not cover your travel expenses. *Credit will be given for a future seminar if you cannot attend. What is the CSC certification program? 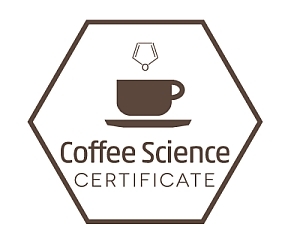 The Coffee Science Certificate (CSC) is the first and only coffee educational program focused on coffee science. The program is composed of three tiers (CSC-1, CSC-2, CSC-3) each with a specific goals and objectives. The seminar is approximately 70% lecture/theory with the remaining 30% hands-on practical exercises. Do I need to take each of the three tracks in order? Since every track builds upon the previous track, we require every student to complete and pass preceding tracks before moving on to more advanced material. This allows us to get further along without having to repeat (and annoy) other students. Will I get a certificate when I pass and complete the course? Yes, you will receive a printed certificate. For those who registered late, we will mail your certificate to you 2-4 weeks after the completion of the course. Will we cover Brewing & Roasting Chemistry in this class? Although we will briefly touch on a few technical aspects of brewing/roasting, please note that these are covered in much greater detail in tracks CSC-2 and CSC-3. For details on this specific session please refer to the program details for more information. Who are these training sessions targeted for? These seminars are intended for a wide range of coffee professionals including: producers, importers/exporters, roasters, quality control, cuppers, Q-graders, technicians, product development, baristas, cafe owners, etc. All materials presented is targeted towards professionals that may not have a technical/scientific background, but would like to expand their knowledge of applied coffee science. Even if you've been in the industry for a while, we are confident that this seminar will greatly increase your technical knowledge base of coffee. What should I expect from this session? Expect to learn a lot! You will gain a much better understanding behind the science of taste, aroma development and overall coffee chemistry from 'bean to cup'. All sessions will be presented in more of a formal lecture style with occasional hands-on labs. Expect to take notes and be an active participant throughout the lecture!! I'm Q-certified grader, will these seminars help me? We are confident that these seminars will provide a greater technical understanding of coffee from a scientific perspective. Over the years we've trained hundreds of certified Q-Graders and many would consider the content covered in these seminars as the 'next step' to earning Q-certification. As a barista will these sessions help me professionally? Yes! These seminars are intended for anyone seeking a better technical understanding of coffee from bean to cup. Will I learn the latest tricks in latte art in this seminars? No. Unfortunately we will not be discussing issues related to espresso beverage preparation or latte art - as that is not the objective of the seminar. Will this be another cupping class? No, this is NOT a cupping class. For those seeking to hone their cupping skills we highly recommend you enroll in an introductory class from SCAA or any other private training facilities. Although not required, we highly suggest students have at least two years of experience and have a basic understanding of coffee processing before attending. Will I become a "cupping expert" once I have completed this seminar? Becoming a great "cupper" takes years of practice, practice and practice. Although we do not guarantee that you will walk away a “cupping expert” - we are confident that you will walk away with a much greater technical knowledge than that of your fellow peers. Will these seminars prepare me for international certification? If your planning on becoming a Q Grader this seminar will assist you in developing a strong technical foundation to further expand your coffee knowledge. Your instructor - J.Rivera has been a coffee chemist for over 10 years and has developed numerous de facto testing modules for both CQI and SCAA that are still in use today. Exams designed and developed by J.Rivera include the Sensory Skills Exam (parts 1-3), Organic Acid Profiling, Matching Pairs and several others which are integral exams to achieving Q-certification. We are confident that you will gain a great deal of information in our session and who better to learn from than the original developers of the Q-Certification Program itself (Ted Lingle / Joseph Rivera). What time should I plan to arrive, what should I bring? Sessions begin promptly at 10:00AM - we recommend you arrive 15 minutes before to settle in and have a cup of coffee. All that is required is an open mind and a eagerness to learn. Feel free to send in any questions you may have beforehand and we will try our best to answer it during the seminar.